Have I told you lately how much I love my Instant Pot! This is our FAVE recipe! Put all ingredients in the Instant Pot. Turn onto to manual setting for 15 minutes. It will take about 10-15 minutes to come to pressure. When the timer is up, carefully switch to quick release. Once the the steam stops, carefully open the lid and shred the chicken with two forks. If you are anything like our family, your kids are super picky. When trying to eat healthy, we really struggled to find options that worked. This is one of our staples. It’s easy…and tasty. Also…can be done in the air fryer as well! Recipe from: My workout library streaming service. I’m a little obsessed with sheet pan dinners! I meal plan once per week and get all the ingredients at the grocery store pick up service on Sunday night. This helps me prepare easily for the week! 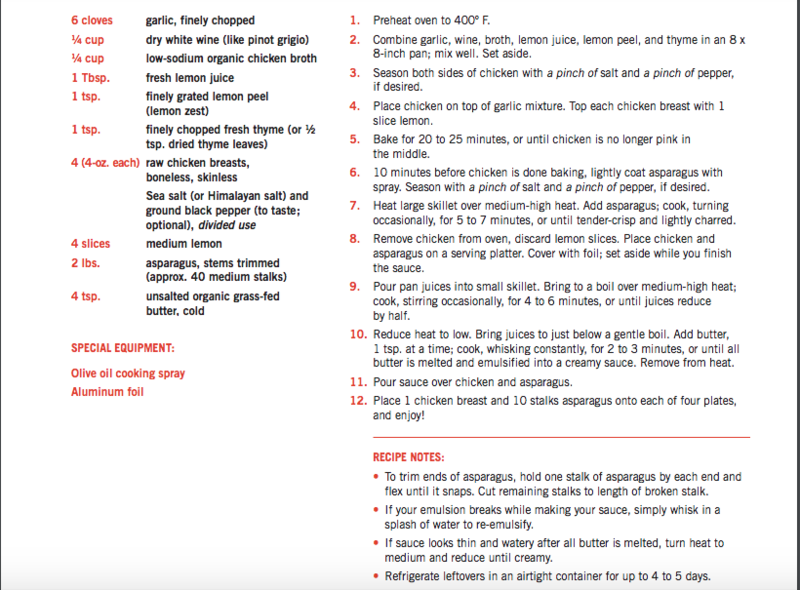 We utilize a lot of recipes off our “netflix for workouts” service, that also includes an entire cookbook in pdf format. When I meal plan, I print the recipes to access them easily when I’m tired and hungry. Here’s a great go-to on a busy night. This is where I run out of words. Anxiety isn’t just a feeling, it’s a state of being, and it isn’t always from a particular cause. In fact, it might be triggered BY something, but it may not be in fact ABOUT something. Most of the time, I just have to ride out my anxiety and later reflect on what triggered my response. Anxiety has roots deep down in you. They could be from experiences in your youth, environmental or simply genetics. In any of these cases, working with your doctor to rule out any medical conditions is important. For me, my anxiety started as a child and amped up through the seasons of my life. I had dealt with abuse growing up and my mom was a single mom early on. I remember sitting at the window at a young age and being fearful that my mom had died in a car crash because it was later than usual. I feared peer rejection most of my life. I struggled with coping in highly stressful situations. I still border on panic attacks at new restaurants. Interestingly enough, because I had had abuse growing up – my most stressful situations were times of the least amount of stress. I would subconsciously create stress to feel better. It instilled chaos in our daily lives until one day I broke. I took myself to urgent care and got medicated. Over the next year, I was medicated and did relatively well this way. The problem was…I was gaining weight. As my moods stabilized, my awareness of my weight increased. I was miserable in the fact that I had gained over 15-20 pounds. I knew it was my medication, but I didn’t want to live in anxiety. So…I started experimenting. I created a process which I followed to completely get off my meds (*note* check with your doctor before). Add exercise. This helps increase “feel-good” endorphins, interrupts “looped thoughts” and creates “nanny neurons” that quiet brain activity. Add supplements. What’s the difference between medication and supplements? I always think going with more natural methods is preferred. Medication is needed sometimes, don’t get me wrong, but I was able to wean myself off (again follow doctor’s orders) by utilizing supplements. These are called adaptogens and help the body deal with stress. Add nutrition. Sugar and caffeine in the body can significantly increase anxiety. Personally, I drink coffee and eat sugar in moderation. That said, when I eat too much, I feel the impact in my stress load. Anxiety is a very real condition that goes beyond “stress”, the way we treat our body daily can prevent us from having to utilizing medication. That said, sometimes it is distinctly needed. Its OK to medicate, but understand it isn’t always needed the rest of your life. With your doctor, you can increase the above methods to help yourself become more resilient in day to day situations. Do I still struggle with anxiety? YES! Is it all consuming? NO! Grab my anxiety tool kit here to help you manage your anxiety naturally. Have you ever thought to make dinner and said…I can’t figure out what to make? Well I totally get you girl. I love cooking…so much! I’m always so tired at the end of the night, though. This was made worse by the fact that we would bulk buy groceries with nothing on the plan for making dinner. We wasted so much time and money…then we’d have to go out to eat anyway. I have three top tips for maximizing your meal planning to make it easy and effective. Ugh meal planning. I don’t have time for that! Have you ever told yourself that lie? Me too. Watch this video to see what I say about it. When I first starting meal planning, my goal was simply to save money. We were deep in debt and I had a dream to be able to work part-time or start my own business. We had a lot of bills that we couldn’t control much: electricity, water, gas, car payments. One of the variable categories was simple: GROCERIES! Do you spend over $500 a month on groceries? Girl, we were spending…ready for it…$1,000 a month on groceries, sometimes even more! It was mind blowing. The worst part was, we never had anything for dinner…! So, we started meal planning weekly and looked into quick, money saving options. The first thing we did was grab recipes for each day of the week. Then we created a simple calendar (here) that we wrote them down in. Finally, we used a grocery pick up service (priced it out and it was much cheaper) to save time going to the grocery story. Easy peasy. While this was a great system, it was also easy to throw it to the side when we were tired at night. HELLO PIZZA! So, we also had to make it flexible and common sense for those nights we didn’t feel like what was on the menu, or cooking for that matter. I created my busy mama meal planning system to help keep things running smoothly, keep us on track financially, but also, keep us on track with our food when we started on our health journey. Last post, I talked about how we needed to change our expectations. Today, I’m going to concede that it’s simply not that easy to do. You aren’t going to follow those steps I laid out for you in Want to love your job again? and suddenly become happy. However, what you can do is start to slowly change your mindset over time. Then, and only then, can you experience happiness. Let’s practice with a few different ideas. You get a nasty email from a parent and start to lean into the fight. The parent is upset that their child is in trouble and demands answers now. How can you change your mindset about this obviously annoying situation. First, be mad if you want to, vent about it, talk to your significant other or best teacher friend. Then, when you are done with that, we can start dealing with the reality. This parent is upset because their child is upset and they’d like an explanation. Change your mindset from “wow, how dare him/her!” to “hm…they sound upset because their child is upset. I wonder how we can work together.” Instead of getting defensive, choose to wonder how you can work through this to best benefit the child. You are upset that your kids are barely listening today, and the one student got out of their seats frequently after you told them not to, and you are at the end of your rope about behaviors. Instead of cracking up and going into a spiral about how children are so disrespectful these days (but I mean…anyway…), go into a mode of wonder. Accept that they are where they are, and be able to start pursuing solutions almost immediately. What has changed? Why are they suddenly struggling? Why does that student need to get up, do we need more brain breaks? Have you approached things differently? At the end of the day, you need to solve this problem. Spend your energy making that work, instead of placing your anger out on the kids. 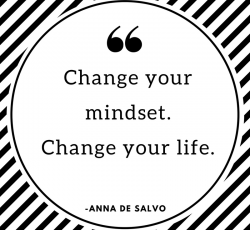 Changing your mindset means you have to be willing to make concessions that your job is hard, different, and much more challenging than it ever was before. This is the time to ask yourself if you want to make yourself happy, or spend your energy complaining about how it used to be? Changing your mindset requires discipline, letting go of your right to be angry, and accepting that it is your responsibility to have a good life – no one else’s. I never thought I would be a teacher. I had seen my mom work with kids my whole life. She talked a lot about how her job was great for a single mom. I agreed with her. So, when I became a single mom, despite already deep in a business program, I fell into a preschool teaching position. I used it as a launch pad for my teaching career. I went to school to become a teacher after I finished my BS in Business. I wanted a practical degree, and I enrolled in a MAT program a few years later. I wanted a practical profession. The one my mom had talked about. Never did I ever think it would the way it is today. Frankly, she didn’t either. Teaching is demanding. It is challenging because we must fill everyone’s needs first. We must fill them quickly, immediately, and our off days cannot be spent behind a closed door. We have to live them out in front of an audience. Having a rough day? Too bad; smile, perform, and take care of others first. Teaching has become so demanding that there are shortages everywhere. We see more and more qualified, talented, and caring teachers leaving the profession to pursue other professions. Ones that they can come home from work and leave their job back at the office. Teaching has changed. I know that from listening to other teachers constantly. Children have changed, parents have changed, teaching has change…what hasn’t changed? Our expectations. We expect teaching to be a profession that it used to be – less red tape, fewer demands, more compliant children. Yet, the reality is, teaching has become a minefield. It is filled with red tape, expectations that are borderline unrealistic, and classrooms full of challenging behaviors in our children. So do you want to stop hating your job, or to be fair, aspects of your job? Change your expectations. Accept the reality. Live in the world we are in, instead of wishing for the times that have passed. We have to give less of our hearts, be wise about our energy levels and take care of ourselves again. The necessity to preserve ourselves, love for teaching, and our sanity is now. The reality we live in is that kids are more entitled, less disciplined, and parents are less likely to support our decisions. Administrators are worried about getting sued. The state tests are important for funding, parent approval, and looking at your abilities. It’s true. It’s not fair, but it’s the reality. So, how do we love our jobs again? How do we accept that reality. Create systems in your life that will drastically increase your energy levels. Systemize the way you do groceries, laundry, meals, pick clothes and even taking your children to their activities. Limit yourself to the minimum amount of grading. Skeleton lesson plan first, then go back and add any details needed. Choose 1-2 things to be good at: : Literacy? Math? Centers? Classroom management? Work on that! Take criticism with a grain of salt. Got a bad review, a nasty email – bring yourself back to your core. What is true for you? Meet everyone’s crankiness with kindness. Realize that almost everything that comes at you from someone is ABOUT THEM! Meet it with firm kindness. Give yourself a vacation from your own expectations. We are our worst critics! You have to give yourself some wiggle room to be late home sometimes, take more papers home than you wish you were for grading, not get back to that parent within 24 hours, and sometimes let your kids silent read too much. Keep high expectations for your classroom, but let go of the small stuff. The kid who is always tipping his chair back, quietly correct him, but after the 14th time, let. it. go. Now I’m not suggesting saying “screw it” to everything. I’m simply stating the importance of making life easier for you, because the job is getting harder. The areas that we can make easy: home, kindness to ourselves, and expectations. Most importantly, change your mindset (which we’ll talk about more next week), remind yourself that nothing “should” be a certain way. 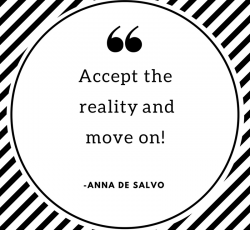 Accept your reality and teach on! As the month began, I was in a grove. I was weight lifting, eating well, and meal planning. I finally got frustrated enough that I just worked out anyway, which seemed to miraculously heal my back. Not really, but I felt well enough to continue. The problem was, I had gained quite a bit of weight and I was feeling pretty awful. So, I needed to get myself in check and do something that contributed to my mental health again. We already had a race day scheduled. My husband and I got a kick in the pants to get our training on. So after searching for training plans, we settled on one that would kick our butts. It did. Like really did. On Monday morning, I was fueled with coffee and dreams. Yet, I struggled to make it through 2 miles. We were scheduled for 3. I cried through the entire 2 miles, beating myself up for how out of shape I was. I came in the house and bawled while I stretched, my husband helplessly looking on. I realize that I do what I always do…beat myself up when I’m not perfect at them right away. It got me thinking…why did I think this would be easy? Why do we think anything will be easy? Why do we think that educating children will be easy? Why do we think dealing with parents will be easy? Why do we think that keeping track of 20-35 kids progress will be easy? Why do we think life will be easy? It shouldn’t be. We are growing, changing and aspiring to be more daily. We are literally changing people’s minds. Our job is to inspire others and take care of ourselves. Why should that be easy? It shouldn’t, it won’t be and the suffering sometimes comes from thinking it should be. As I pushed through the ending lap on mile 5 this week, I finally remembered why it felt good to do hard things. Then you can revel in your accomplishment. You can smile and realize that when you collapse at the end of the day, you earned it. Teaching is life’s work. It should be hard. 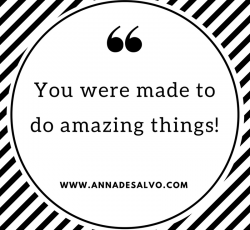 We are amazing every day we complete it.